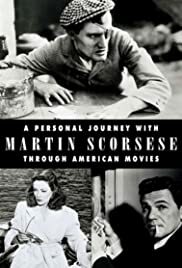 Huge, exhaustive and passionate summary of American cinema as seen through the eyes of Martin Scorcese. Needless to say, there is never a dull moment in all of its 4 hour running time. Many genres, periods and directors are all examined, discussed more from the perspective of cinephile rather than contemporary director. For anyone even remotely interested in American films, or cinema in general. A masterpiece, and the best of the BFI's Century of Cinema series.